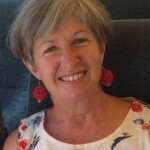 Julie Payne has exhibited nationally in the fields of sculpture and drawing, and has lectured in Sculpture, Architecture and Furniture Design. In her arts practice, Julie utilises living text to tell stories of place. She is a Director of Circa Morris-Nunn Architects, an architectural practice of national standing that has designed and brought to reality some of Australia’s most awarded projects. Landscape commissions have included The Garden of the Lost and Forgotten for the opening of the new Queen Victoria Museum and Art Gallery; The Garden of Herstory to celebrate the invisible lives of women on Woolmers Estate for Tasmania’s Ten Days on the Island Arts Festival, and an installation at the Royal Tasmanian Botanic Gardens presenting the veiling of landscapes and cultures past by manicured lawns and European sensibilities. Other sculptural and drawing projects are ongoing and she has been shortlisted for many prestigious arts prizes nationwide, along with solo shows and collaborative works. Kelly’s Garden Curated Projects is an initiative of the Salamanca Arts Centre and made possible through the generosity of Aspect Design and fundraising from SAC’s supporters at Quiz Night. This project was assisted through Arts Tasmania by the Minister for the Arts. Julie Payne would like to thank the Royal Tasmanian Botanical Gardens for their generous donation of time and expertise. Image Credits: Photography by Fiona Fraser and Craig Opie.